It is no secret that WooCommerce makes it so easy to build an e-commerce site using WordPress. There are plenty of awesome extensions available for it, allowing you to add more features to your online store. 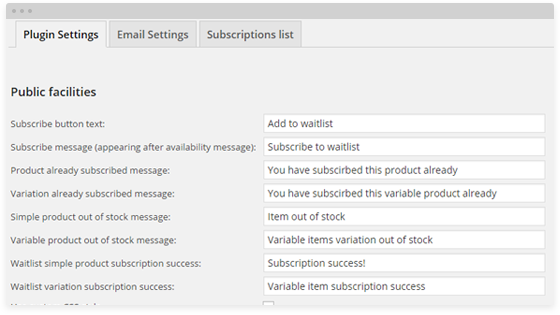 Waitlist for WooCommerce happens to be a handy plugin that lets you add a product wait list to your site and let your customers know when out of stock products are back in stock. Waitlist for WooCommerce supports all WooCommerce types. 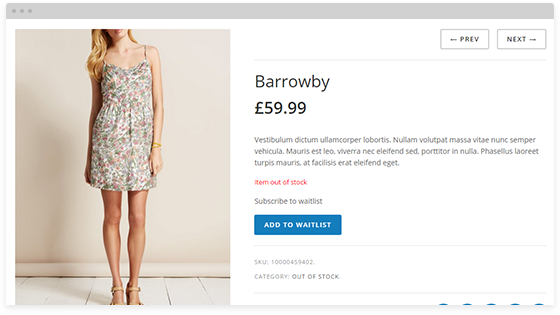 When a product is out of stock, customers can add it to their waiting list. 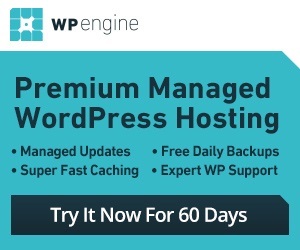 The plugin makes managing your waiting list easier. It lets you notify your customers at the right time. The script also lets you personalize the alert messages. Want to export your customers? No problem. Waitlist for WooCommerce lets you stay in touch with your customers and let them know when their favorite products are back in stock. This is a premium plugin.